Read case studies from our customers and what they are saying about their experience in their own words. Anchor Pointe Wealth Management prides itself on its big-picture focus when it comes to finances — offering services beyond investments such as retirement, insurance, legacy, education, and debt-management planning. The firm combines data, expertise, and technology to build effective financial strategies, and part of that equation is employing Zix as a service provider to manage its scope of archiving and compliance needs. To find out more, click the link below to download the full case study. Sound Community Bank not only provides clients a local bank with accounts and services but also leading – edge technology and commitment to personal service that makes banking easy, accessible and transparent. Compliance with federal and state financial regulations is critical, and among its obligation is the retention of communication. Sound Community Bank archives 7 years of emails as a compliance practice and trusts Erado to meet its archiving needs with industry – leading technology and exceptional service. To find out more, click the link below to download the full case study. In light of strict data-archiving laws, RW Paul wanted a one-stop shop compliance solution for its firm. They also wanted something that was both easy to use and efficient for surveillance and digital archiving, and one that wouldn’t take valuable time away from their clients. With many solution options from which to choose, RW Paul selected Erado to archive and monitor all activity on email and the three main social media platforms – LinkedIn, Facebook, and Twitter – as well as the firm’s website, www.rwpaul.com. 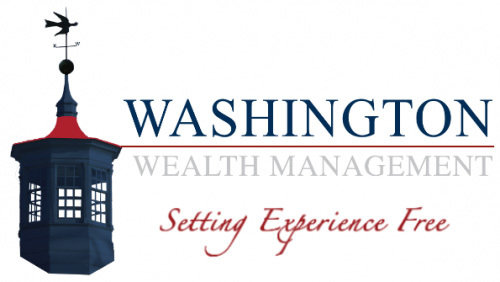 Washington Wealth Management began using Erado as their single vendor for email archiving in 2012. But soon realized they needed a centralized source for archiving and monitoring all of their electronic communications. In working closely with Erado, Washington Wealth Management quickly understood the scope of solutions provided by Erado including email hosting, social media, and website archiving and surveying. Erado also introduced Washington Wealth Management to its hosting platform, providing a cost-effective solution. To find out more, click the link below to download the full case study. With the rapid rise of social media over the past decade, Investacorp needed a reliable and efficient solution to remain compliant with FINRA and SEC regulations. Given the array of social media compliance solutions available, Investacorp chose Erado to archive and monitor all correspondences on Facebook, Twitter and LinkedIn –the three main social media channels being utilized by their advisors. Although several solutions offered social media monitoring, many required the compliance department to approve each individual message, which is time consuming and inefficient. Other vendors, including Investacorp’s previous solution, could only capture social media data if software was installed on each device, which was not adequate for Investacorp’s needs. Erado’s unique ability to capture data in a native format allows advisors to interact with customers in an unobtrusive manner. To find out more, click the link below to download the full case study.